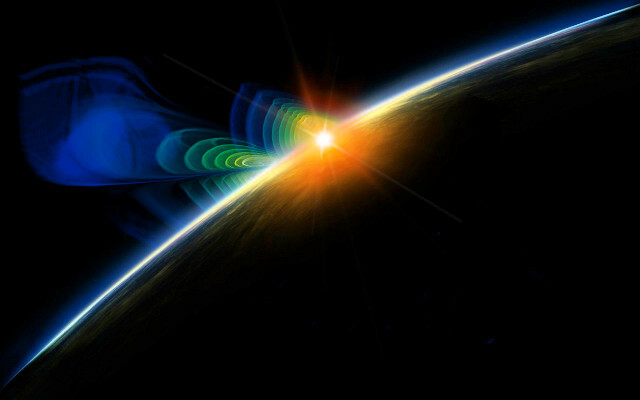 The detection of LIGO's first gravitational wave will be a transformational event, opening new avenues for astrophysical exploration, opportunities to build more powerful detectors directed at known source populations and data analysis enhancements informed by direct detection.Participants in this workshop will discuss how the first few detections might influence which paths offer the best opportunities, and how the community can be prepared with appropriate plans, including international networks and outreach of gravitational wave science to the broad scientific community.We invite gravitational wave scientists, astronomers, and astrophysicists to participate in these discussions. Focus panels will summarize discussions and write up conclusions after the meeting. The program is organized into 5 sessions each addressing a particular set of questions. The sessions are organized around breaks, with talks before the break to set the stage and to introduce the important questions, and discussion periods after the break.The breaks are intended as time to discuss the topic among themselves.Individuals or small groups wanting to raise particular ideas or questions during the discussion period are encouraged to contact the session chair or the speakers during the break, to allow them to organize the discussion by grouping similar ideas/topics together. The session chairs and speakers will moderate the discussion portion of each session. Click here for the program (updated May 1, 2015). Attendance at the workshop is limited to approximately 70 people, who were selected from a pre-registration process. Registration is now closed. We are pleased that a diverse group of scientists, with a range of interests, expertise and career stages, will be participating in the workshop. The workshop registration fee is $160. Thanks to funding support from NSF, we were able to offer a registration fee waiver for up to 20 participants, who must be based at U.S. institutions to be eligible under NSF regulations. The deadline for registering online is May 4. Any approved participants who miss that deadline will need to register on-site and pay $210. The registration desk will be located in the Second Floor foyer (near the elevators) and will open at 7:30 on Thursday and at 8:00 on Friday. Breakfast will be served nearby starting at the same times. The breakfast menu is: Assorted yogurts and cereal; Bagels and cream cheese; Assorted pastries, croissants, and muffins; Sliced fresh fruit; Assortment of juices; Coffee, decaf, and hot tea. People who are unable to attend the workshop in person are welcome to participate remotely in any or all sessions. Audioconferencing will use TeamSpeak, and we will simultaneously have a video stream of the slides that you can view in a web browser (no other software needed). Download the TeamSpeak 3 client software (for free) from http://www.teamspeak.com/?page=downloads and install it. Then, to connect to the workshop, press Ctrl-S (or go to Connections-->Connect on the menu bar) and enter a server address of zam.mit.edu and the server password. (LSC/Virgo members can find the server password at https://wiki.ligo.org/Main/TeamSpeak#Alternate_Server ; others, please send email to ligo-workshop-2015@ligo.org and ask for the TeamSpeak server password for zam.mit.edu.) Double-click on the "What comes next for LIGO?" channel name to switch to it. TeamSpeak has a rudimentary Echo Cancellation feature but it is NOT enabled by default, and is a bit hard to find in the Options. Therefore, to prevent echoes, it is strongly recommended that you use either an echo-canceling speakerphone unit such as a Phoenix Duet, or else headphones. Also, mute your connection (by clicking on the microphone icon with the red X) whenever you are not speaking. Simply go to http://www.screenleap.com/ligoworkshop to view the current presentation in your web browser window. Valet parking at the hotel is $15 overnight for hotel guests, or $10 for daytime visitors. WiFi is complimentary in the meeting room and in guest rooms. Breakfast will be provided both days, but lunch and dinner are on your own. There are two restaurants in the hotel, but you may also want to go out and explore Downtown Silver Spring -- a lively area, with dozens of restaurants within a few blocks, especially along Ellsworth Drive south and east of the hotel. Movie theaters and a Whole Foods market are also nearby. The breakfast menu is: Assorted yogurts and cereal; Bagels and cream cheese; Assorted pastries, croissants, and muffins; Sliced fresh fruit; Assortment of juices; Coffee, decaf, and hot tea. Silver Spring is in the middle of the three airports serving the Washington area: Reagan National Airport (DCA), Washington Dulles Airport (IAD), and Baltimore-Washington International Airport (BWI). For local transportation around Washington, the Metro transit system is very convenient. Note that Metro paper farecards are being phased out and carry a $1 surcharge per trip, so you are advised to purchase a reloadable SmarTrip card ($2 one-time cost plus the stored fare value), which you can do at any Metro rail station, if you don't already have one. (See Metrorail link.) SuperShuttle and taxis are also (pricier) options for transportation to/from the airports. DCA is on the Metro yellow and blue lines, so it is very convenient to ride Metro trains to Silver Spring. The fare is $4.75 during peak hours (before 9:30am, and 3-7pm) or $3.60 off-peak. From Dulles, you can ride the Washington Flyer Silver Line Express bus (see schedule) from the terminal to the new Wiehle-Reston East Metro station, then ride Metro trains to Silver Spring. The Silver Line Express bus fare is $5, and the Metro fare is $5.90 during peak hours or $3.60 off-peak. Alternatively, the SuperShuttle fare to the hotel (one way) is $34, plus $10 for each additional passenger. A taxi should cost around $65. From BWI, one option is to ride the B30 bus to the Greenbelt Metro station and ride Metro trains from there. (See B30 bus schedule.) The bus runs every 40 minutes until about 10:30pm for $7, and the Metro fare is $3.95 during peak hours or $3.10 off-peak. SuperShuttle is also an option at $37, plus $12 for each additional passenger. A block of rooms has been set up at the DoubleTree at the special rate of $169 per night (plus applicable taxes) for a room with either a king-size bed or two double beds, or $179 for a king-bed suite. (Hotels in downtown Silver Spring are fairly expensive, so these are competitive rates.) Make your reservation online at this link, or else call 301-589-5200 and identify yourself as part of the "LIGO Workshop" room block in order to receive the group rate. The room block will expire on April 15, so please be sure to reserve before then. If you find that all the rooms have been taken, please inform Peter Shawhan (pshawhan@umd.edu) so that we can try to add more rooms to the block. The DoubleTree Hotel meeting facilities and guest rooms meet ADA guidelines for accessibility for persons with disabilities.Persons with disabilities, dietary restrictions, or any other special considerations are encouraged to contact the program organizers at ligo-workshop-2015@ligo.org and/or the registration support team at LIGOregistration@umd.edu . Any participants needing assistance with child care or family care resources are encouraged to contact the program organizers at ligo-workshop-2015@ligo.org . Gravitational-wave image credit: "Colliding Black Holes" courtesy of Werner Benger, Zuse Institute Berlin, Max-Planck Institute für Gravitational Physics (Albert Einstein Institute) and the Center for Computation & Technology at Louisiana State University.